Clothing is the best way of expression these days. If you’re a die hard rock band fan, there is nothing better sporting a tee that says so. Why not put on your casual tee that retells your story about your choice of music and art. Guess what, we are here to offer you the perfect tee guide to tell your story about music genres. 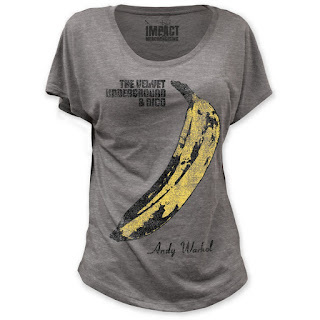 Why not put on your favorite tees that represent Andy Warhol designs? These are effortlessly fashionable and retain a casual sense of style. They make you want to stay cozy in them all day! 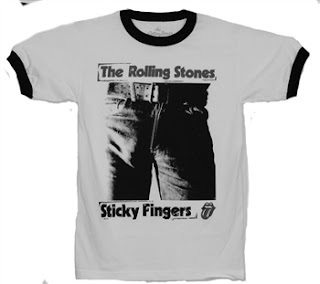 This licensed Rolling Stones t-shirt features an image of the classic and memorable Rolling Stones Sticky Fingers Album cover. Andy Warhol’s brilliant mind was the power behind this album cover, and featured a working zipper that revealed..well…you guessed it, a pair of white undies! The tees are extremely casual to wear and can be paired with just about anything. You can simply put on a jacket and a pair of jeans to go with your Andy Warhol tee. You can even try wearing the Velvet Underground T-shirt which is a representation of your love and emotional attachment to crazy pop and rock music. Those were the best of times when such music was produced. Indulge in the timelessness of rock music genre and stay cool with the amazement in music created by it. Let the rock music ripple through your skin when you wear clothes that represent it. Who knew a banana could be so recognizable? Yet everyone knows this banana as a painting by Andy Warhol, who managed Velvet Underground at the time of the band’s debut album.